It’d be a bit OTT, I know, to go full-on The Day Before The Game about tomorrow’s FBD semi-final between ourselves and the neighbours. It’s still only mid-January and it’s only the FBD, even if the exchanges in the comments from opposing supporters have bordered on the tetchy over the last 24 hours. The match has attracted a bit of media attention. RTÉ have a piece (here) with Galway’s Ian Burke, Galway Bay FM have an article which gives a handy list of all clashes between the two counties over the last decade (here), while the GAA website has an interview piece with Maurice Sheridan (here). With the benign weather continuing and a tasty contest in prospect, there should be a decent-sized crowd at Tuam tomorrow. Sadly, I won’t be among them, as I’ve a family event up here tonight and I don’t expect to be in a fit state to go driving across the country tomorrow. That means there’ll be no post-game audio from me tomorrow but I do intend to listen in to the match on the radio so I’ll have a report up on it later on. Rob and the lads will be in Tuam – fresh from the Club Stars event tonight – so there’ll be a podcast episode on Monday as well. Work pressure at my end is, though, likely to mean that the usual Monday match reports piece will only appear later in the day, if at all. Right, that’s it for now. Enjoy the game if you’re heading to it and best of luck to James and the lads. Looking forward to a good open game of football, that will test the potential of the newbies, both teams have included. I always maintain that Mayo have serious underage talent in the county. It may be as obvious or have been as well nurtured as e.g. in the case of Galway or Kerry in recent years. Nevertheless, you can be sure it’s there, and no better man than JH to tap into it. Traditionally, Mayo have had an abundance of quality defenders and mid-field men. It’s no secret, that it’s the lack of a Donnellan/Fallon/Joyce that hs cost Mayo ultimate success. At times, we can’t resist the banter/slagging, but by and large, it’s good humoured. Were Mayo to unearth serious scoring potential, and go on to win the AI, no one in Galway – bar a few grouches, would begrudge you. I live in Galway City and I’m heading over to Tuam tomorrow. The team selection looks like a good blend of experience and new young talent. Good luck to one and all heading to Tuam today. Won’t make it myself but will be listening on with great interest. Galway have a pretty strong midfield out so we’ll need more from that sector this week. Will game be on air on Mayogaa live. As cant make game this morning as at a family event. hi all – the match will be on midwest? Best of luck to the team and safe journey one and all. Good luck lads, tuning in from airlie beach australia. For a Mayo man living in Tuam it doesn’t get much better this time of the year anyways. Most important thing today is how the young ones perform. Can’t travel today. Just looking at programme online now. I see James Burke, Martin Barrett, Daniel Forde et al are now ‘Support Team’ Last week they were listed on the programme as ‘Coach’. Demotion? Sounds like Drake’s having a good game which is great to hear. Diskin too! Conor O Shea has missed his brothers stag in Prague to play an fbd game. Thats dedication to the jersey. Diskin, Reape and Boland showing very well at present in the Forwards. Conor Loftus looks much better at center forward as he is an excellent distributor of the ball. Coen another who needs a big improvement. caught for pace alot of times and he rarely passes the ball forward. Our defence is looking much better already as Horan puts big emphasis on protecting your goal and patience in the tackle. That’s empty trash-talking, Garycool. If you want to criticise a named player then you need to come up with some specifics. I know its only the fbd. But every defeat to Galway is painful at this stage. Thats 6 in a row for Galway now vs Mayo. Galway were always going to be up for this game in Tuam and that goal had been coming for a while penalties is a lottery so it was a draw really. In fairness to James he threw on a load of new players and is giving guys a chance that’s what we all want to see. This result will be forgotten about in July. 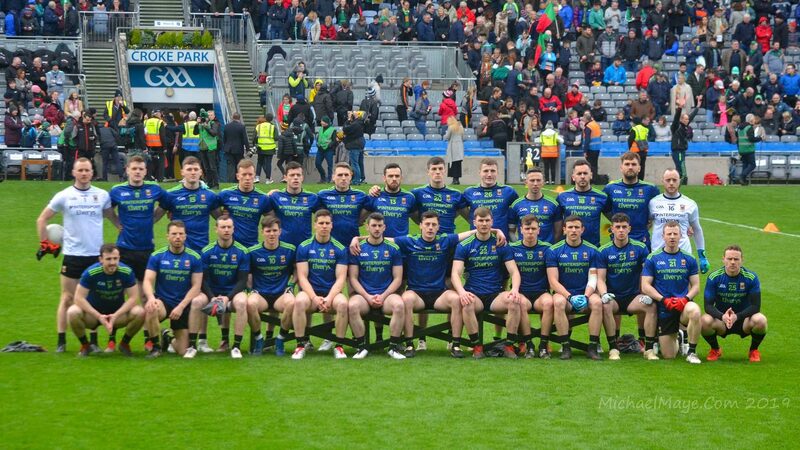 2 weeks now to prepare for Roscommon I think for early January Mayo are in a good place a win against Roscommon and it would set us up for a good league. Lads Mayo did not throw that away, Galway butchered about 3 goal chances in the last 15 minutes. I would say both managers would be happy enough with that outing, I was impressed with David Drake and Reape. For Galway Liam Silke is a huge addition to have back and Michael Daly made a big difference when he came on. If he stays fit and add in Walsh, Comer, Brannigan and Burke, that’s a serious forward unit. I think we’re actually getting used to having a powerful inside line that can win it’s own ball. We’re not fully clued in yet in how to use that. Brian Reape and Conor Diskin are very encouraging. David Drake at corner back went well as was well flagged on here as his best position. If all we got from the Fbd was David Drake at corner and Brian Reape and Conor Diskin as inside options that is massive. A penalty comp simply dictates who moves forward in a knockout series. I wouldn’t get caught up about losing. Disappointing to cough up a draw having led the whole way through the game. Sounds like Reape has settled in very well and a lot of comment about Diskin’s debut. obviously you have your opinion and i have mine. Delete as you please but the player i mentioned has been there 7 years now with no progress at all. It’s not a case of opinion, Garycool, it’s backing up an argument properly. You made no attempt at all to do so, hence my problem with what you posted. I wonder how much Horan had learned from watching football since his departure in 2014. I listened to the game on Midwest today, some very good individual performance, but see old mistakes from 2 subs that came on in the second half, how are those guys expected to make am impact in the arena of Croker when they can’t do it in Team agaist a weakened Galway team. Good learning curve for the young guys today. Diskin and Reape is massive, big powerful players that can get their own scores and knows were the post are. Plunkett played well today, strange how Reape and Plunkett were released before the league last year. Would have liked to have seen more of James Kelly today but not to be, Is he ahead of Matthew Ruane. 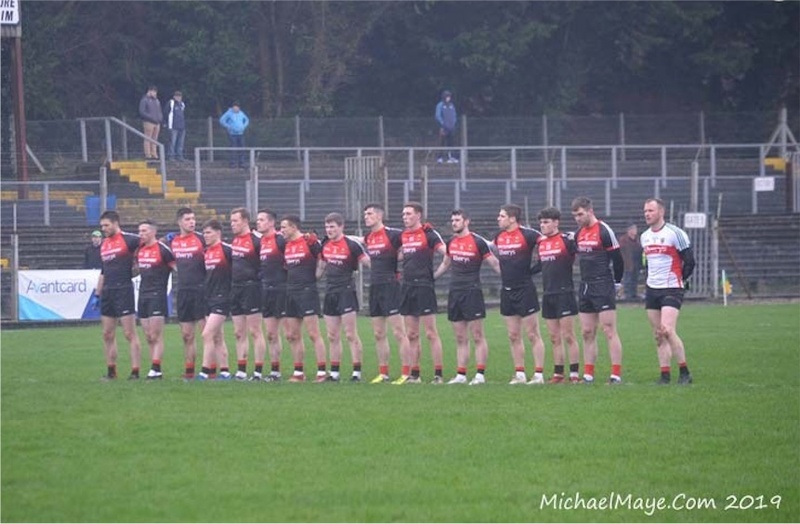 James McCormack Fionn McDonagh and Fergal Boland are getting more experience and will improve. hopefully we get Ryan o Donoghue and Cian Hanley back on the field this spring so with the injection of these young players into a experience group things can only improve. Like what James Horan is doing, needs time on the training ground to gel everything together. Was hoping Darren Coen would get on the field but failed to do so in the last 2 games probably will find it hard with the emergence of Diskin and Reape. Expect The Neale’s Tommy Conroy to join the group next year as he has something different to offer. Emcouirng signs from Reape and Diskin. McCormack and McDonagh can be big players for us in the coming years. Why bring on Andy Moran and Lee Keegan? We k ow what they can do…other players should have been ran out as the two lads didn’t even look fit.